Saturday's protests were just three days after an ordinance aimed at regulating protests was shot down by the Portland City Council. 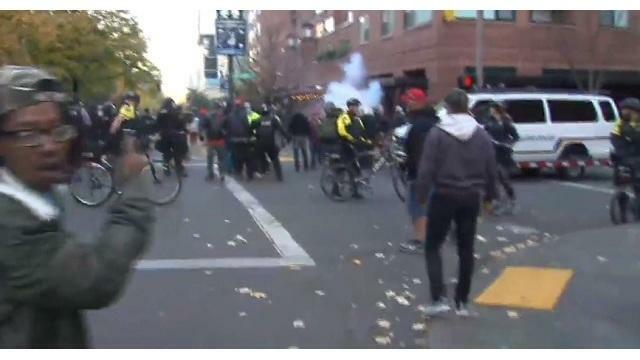 Mayor Ted Wheeler proposed the ordinance to regulate the time, place and manner of protests that were expected to turn violent, KOIN reports. Correction: A previous version of this article included a quote incorrectly attributed to a Portland DSA co-chair that has been removed.